I was expecting for this recipe to be somewhat like the madeleines we made earlier, but turned out quite different. The process was easy once again. Using glucose for the second time wasn't as nerve wrecking as the first time. I remembered to refrigerate it and wet my hands while handling it so that it would not stick to my fingers. The batter was wetter than most cake batters but I wasn't concerned. I baked the cake for 26 minutes and let it cool. I did not freeze it before cutting it as I only cut it in rectangular pieces. I tasted a corner and was pleased with the lemon flavor as I love anything lemon. The cake was moist along with a soft crumb. If I didn't know better, I would have thought it took cake flour. This is another success! 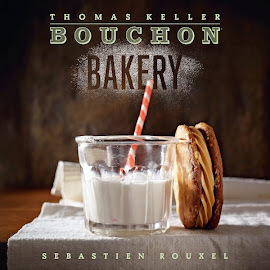 This recipe was similar to last week's olive oil cake in technique, being a génoise. It was easy to make and easy to bake. The top got nice and brown, and the cake popped out of the pan easily. The only slight issue I ran into was, after inverting the cake onto parchment, when I tried to peel off the parchment, most of the pretty browned top came off with it. But I just covered the "bald" spots with fruit. I topped the cake with strawberries and some lemon zest, just to indicate the flavor. The lemon actually was quite subtle but very tasty and refreshing. This week's selection is a light moist lemony cake with a light crumb, very similar to the Olive oil cake except this recipe is made with melted butter and glucose. My first time making a cake with glucose as part of the cake batter. As the cake is called a Madeleine cake, it is far different from the traditional Madeleines we baked early in the cake chapter of the book. This recipe requires no refrigeration overnight before baking. Recipe and techniques were straight forward with the exception of glucose. Glucose is not a normal staple found in your local grocery store, I found it at Michael's in the Cake decorating aisle. It is an ingredient used for making fondant for covering cakes. The cake is best served with fresh seasonal fruits. 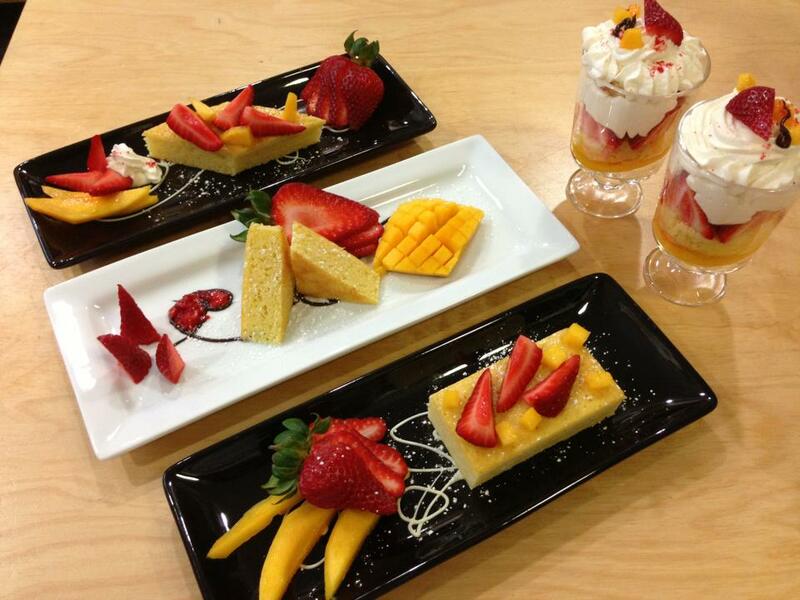 We served ours with fresh sliced strawberries and mangoes for a Mother's Day dessert. Since the kid's loved the parfaits from last week's Olive Oil cake, we made parfaits for them with the Madeleine cake while the adults got the plated cakes. 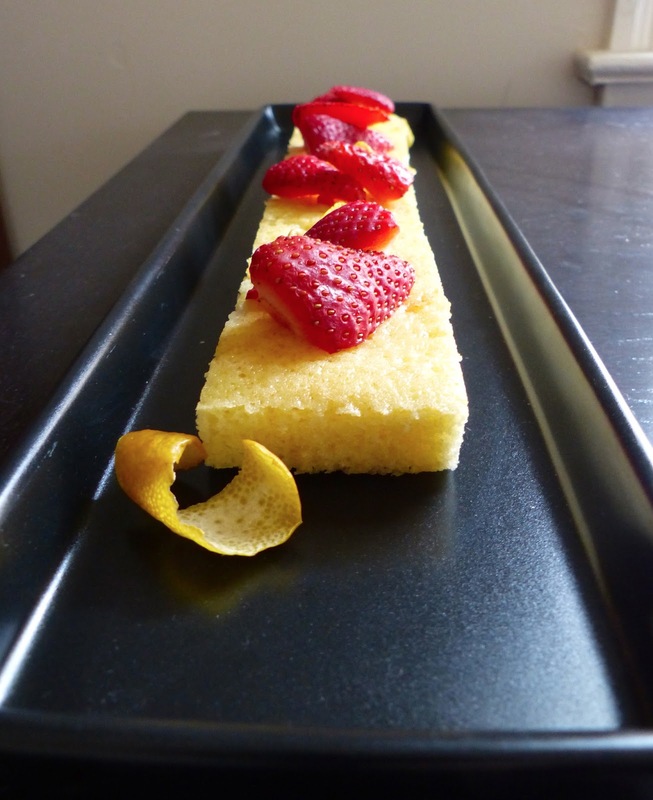 Our family really enjoyed this cake, the lemon juice enhanced the flavor and taste. The only thing I modified from the recipe was fold in zest from a lemon. The extra lemon zest gave the cake the extra boost in flavor. Another excellent recipe.